Discover the beautiful cities of Thimphu, Punakha, Paro, Bhutan highlights. Visit the most beautiful Dzongs, monastery and stunning view lanscapes of Bhutan. Trek to Taktsang Lhakhang, most iconic landmark and religious site in Bhutan. 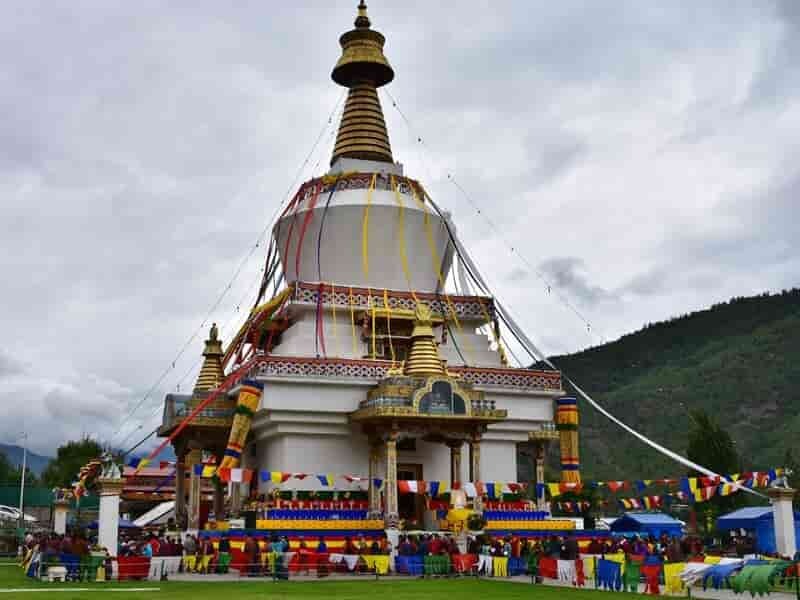 Take a visit to National Memorial Chorten, one of Thimphu's most iconic monuments. Explore the Cloud Kingdom of Bhutan (Buthan) which is praised as the happiest country in the world. 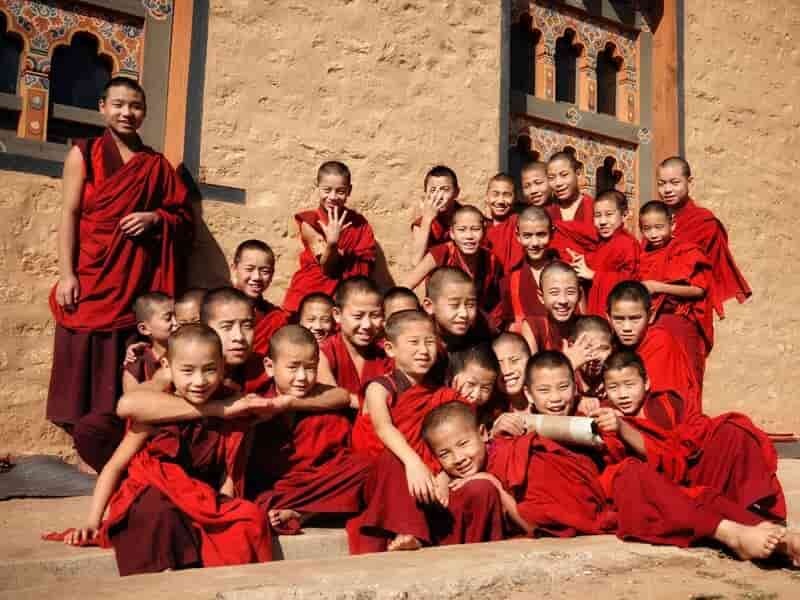 Our 06-day Best Bhutan Tours will give you opportunity to admire incredible scenery, impressive architectural unique cultures and historical sites. Set off from Paro (home to the famous Tiger’s Nest Monastery) to Thimphu, the administrative capital of Bhutan, before visiting the spectacular Punakha dzong and valley. 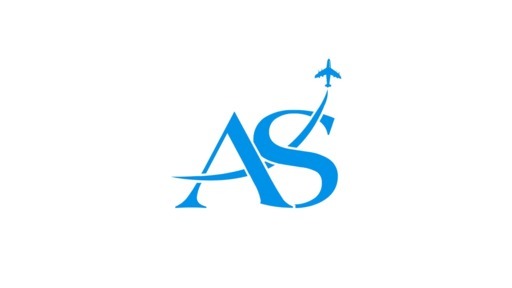 Asia Senses Travel is confident that we can provide you with a very affordable Bhutan tour cost, enabling you to explore this happy land easier. Our Best Bhutan Tour starts in Paro capital. Arrive in Paro, the national Bhutan airport. 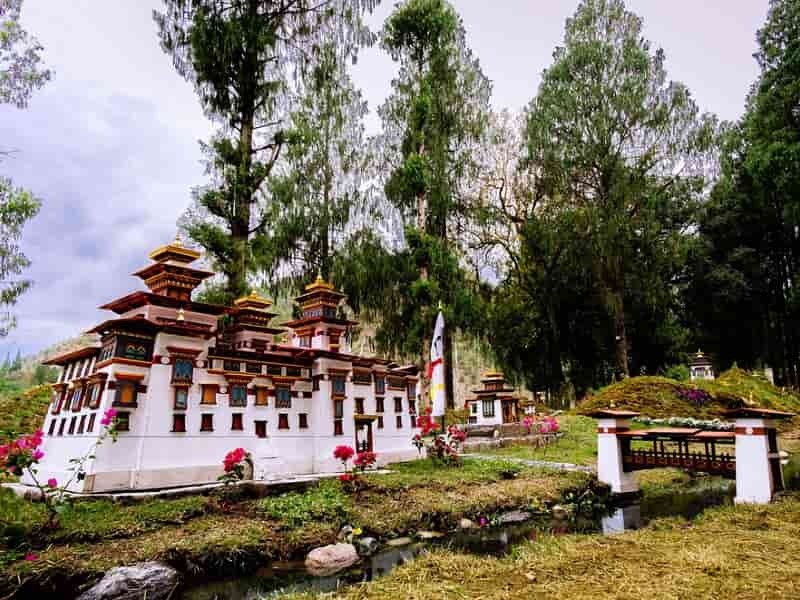 You will be welcomed by your Asia Senses tour guide and driver then transferred to Thimphu, the capital city and the main center of commerce, religion and government of Bhutan. The drive takes about an hour and half to reach Thimphu, en route, enjoy the beautiful views of Thimphu valley. Check into your hotel and take a short break for lunch. After lunch, we will take a visit to National Memorial Chorten, one of Thimphu's most iconic monuments. It was built in 1974 as a memorial to the third king, Jigme Dorji Wangchuck who reigned from 1952-1972. Then we head to Changangkha Lhakhang Monastery which was built in the 12th century and is the oldest temple in Thimphu. Our next destination is Thimphu Radio Tower Hill for a great view of the below Thimphu Valley and the Tashichho Dzong. After that, we wander and explore the fascinating streets of Thimphu, the world’s only capital city without a traffic light! Overnight in one of the hotels in Thimphu we carefully selected. The capital of Bhutan boasts some of the best places to visit in bhutan. After breakfast, start our today’s sightseeing tour with a visit to Tashichho Dzong, or popularly known as Thimphu Dzong. It has been the seat of the government since 1952 and presently houses the throne room and offices of the king, the secretariat and the ministries of home affairs and finance. After that, drive to visit Chagri Dorjeden Monastery, a Buddhist monastery in Bhutan established in 1620 by Ngawang Namgyal, the first Zhabdrung Rinpoche, the founder of the Bhutanese state. It was built on the riverside with the river flowing with crystal clear water. After that we drive back to Thimphu for the lunch. 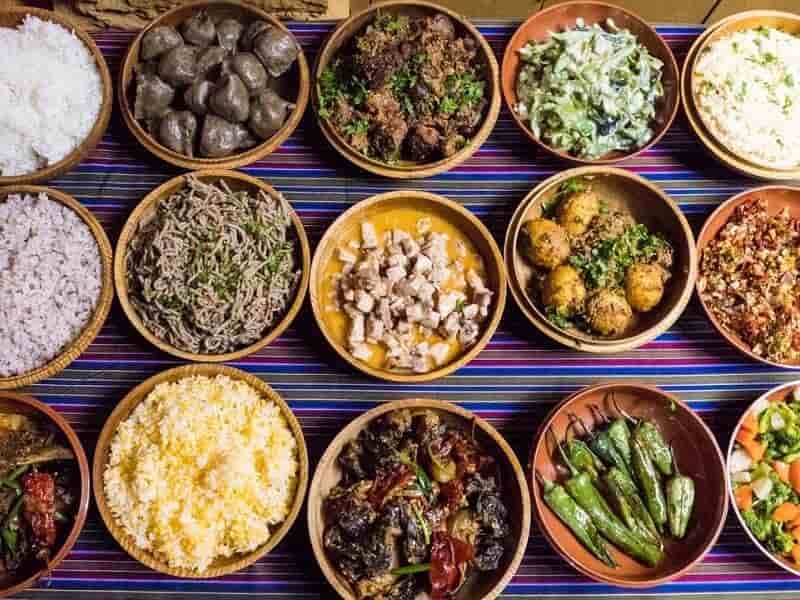 Following lunch, head to Thimphu Institute of Zorig Chusum where you can catch a glimpse of apprentices honing their skills and knowledge in 13 traditional arts and crafts of Bhutan, Folk Heritage Museum Kawajangsa which is providing a detailed insight of the entire folk history and heritage of Bhutan. Continue on to Royal Textile Academy to witness the traditional art of weaving. Afterwards, we visit Motithang Takin Preserve to see takins, the national animal of Bhutan. In the late afternoon, we take visit to Buddha Dordenma statue to enjoy the beautiful view of Thimphu valley. No tours of Thimphu or Bhutan holidays are complete without a visit to the incredible Textile Museum. Evening is free at leisure and you can stroll in the town, visit local handicraft shops, do shopping as you like. Start our sightseeing day with a visit to Simtokha Dzong, one of oldest Dzong in Thimphu that was built in the year 1629 by Zhabdrung Ngawang Namgyal, who unified Bhutan. Afterwards, we depart Thimphu for Punakha, a former capital of Bhutan, is located in the west of the country. On the way, we will stop to visit Dochula Pass at an altitude of 3150m dotted with colorful prayer flags and 108 Stupa. If the weather is good enough, you could see the most spectacular view over the high peaks of the Eastern Himalayas while enjoying a hot cup of coffee/tea at the Dochula café. Then continually drive to Punakha through the temperate forest of rhododendron & magnolia and orange, banana, rice plantations along the way. Have your lunch at a local restaurant. After lunch, we will stop at Sopsokha Village roadside and take a stroll (about 20 minutes) through the rice fields to Chimi Lhakhang, a pilgrimage site for childless couples. It is believed that childless couples will have children if they get blessing from the lhakhang's wooden phallus. Our trail leads across rice fields to the tiny settlement of Pana. There are few young monks at the temple, which is surrounded by a row of prayer wheels and some very beautiful slate carvings. Thereafter, we continually drive to Punakha. 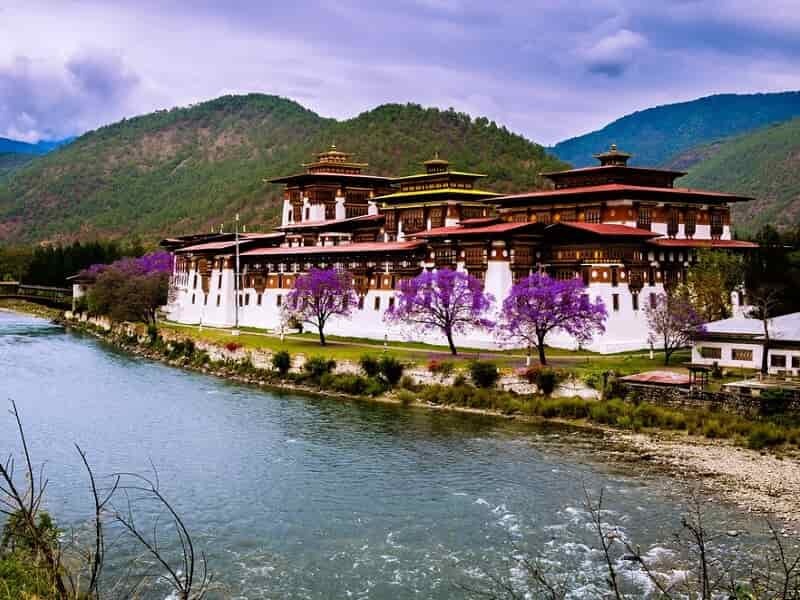 Upon arrival, visit Punakha Dzong which is arguably the most beautiful dzong in the country and one of the must-visit places in all leisurely Bhutan tour packages. The three story main temple of the Punakha Dzong is a breathtaking example of traditional architecture with four intricately embossed entrance pillars crafted from cypress and decorated in gold and silver. 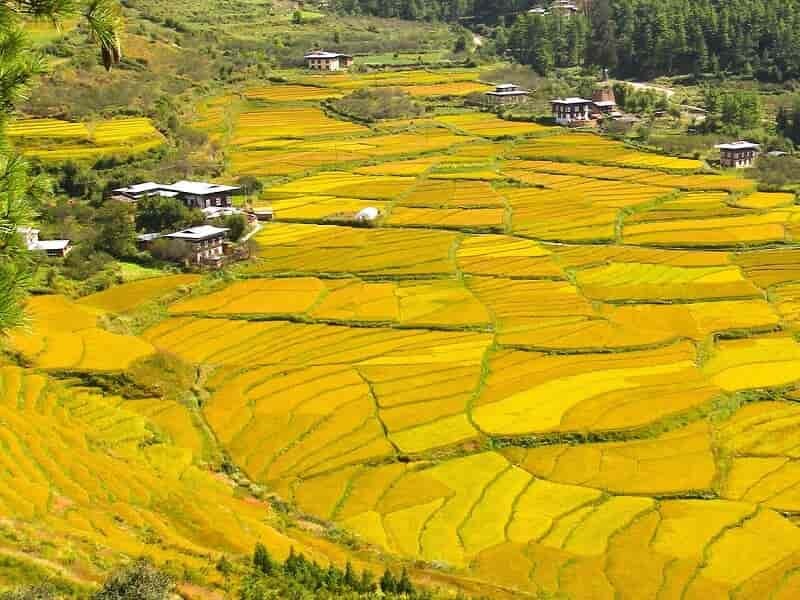 In the morning, we drive to Yabesa Village and hike to through rice fields and up to Khamsum Yulley Namgyal Chorten which sits high above Punakha Valley, affording panoramic views of the verdant hillsides below. It was built by Queen Mother and dedicated to the King and for the wellbeing of Bhutanese. After that, we drive back to Thimphu where you will have an opportunity to visit handicraft and souvenir stores. Afterwards we proceed to Paro, stop enroute to have lunch in Thimphu. Upon arrival, we will visit Rinpung Dzong which was consecrated in 1645 by Shabdrung Nawang Namgyal on the site of smaller fort. Its name means “the fortress of the heap of jewels”. Dinner then relax at one of the carefully-selected hotels in Paro. OPTIONAL: Horse ride to the cafeteria is available and can be arranged at additional cost. 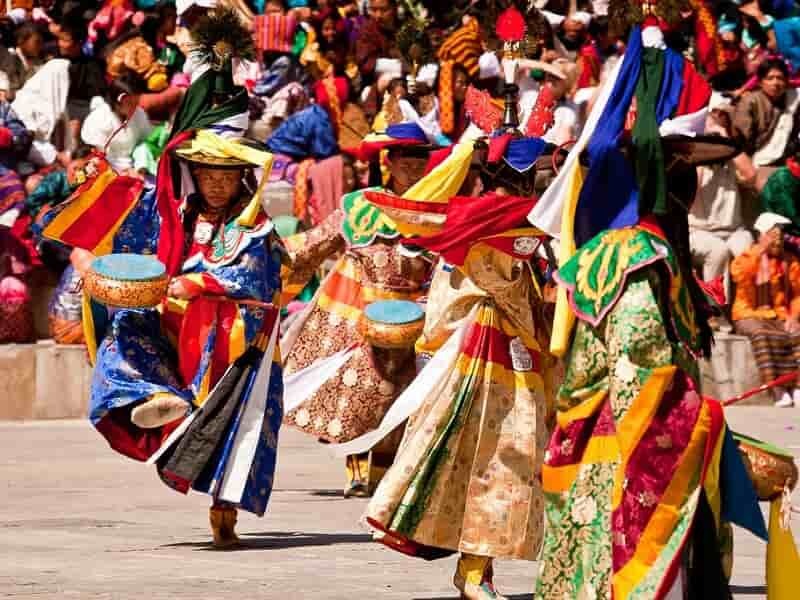 Your Bhutan Tour Packages which has shown you the best of Bhutan wraps up today. After breakfast at the hotel, free at leisure until our guide and driver transfer you to Paro airport to catch your departure flight. End of our service. 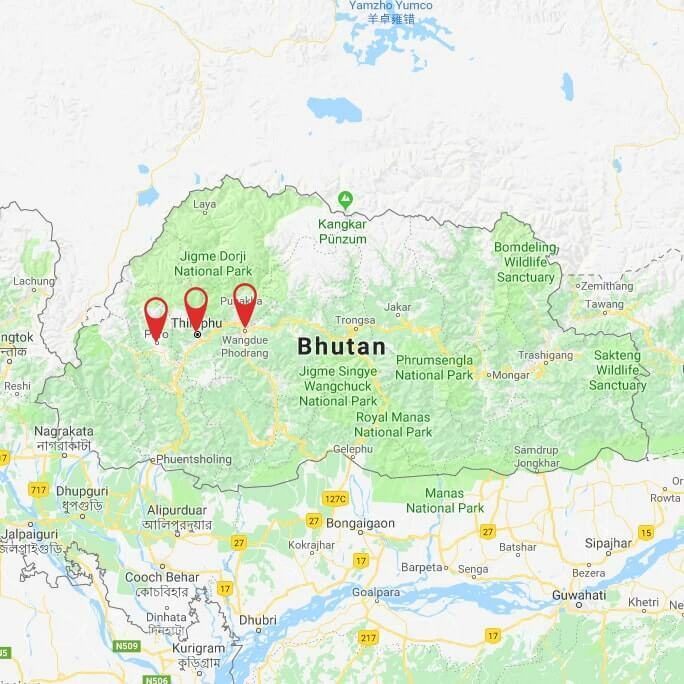 If you are continuing to travel to Asia or need any other Bhutan tour itinerary, please feel free to be in touch with our Bhutan travel specialists.